Same here. The "package file is invalid" error has returned with the latest update. A complete uninstall and reinstall does not fix the problem. Now I don't have AirDroid at all! I can also add that downloading the file from the website (AirDroid_3.0.4.1.apk) and manually installing it on my phone produces the error "Error parsing file" or something of that nature, I can't recall the exact wording. Yeah same here, the issue did come back. Still having this issue on Android 2.3.6! Thanks for the APK download link to AirDroid 3.0.3.1. Unfortunately, it refuses to install on Android Gingerbread (2.3.3) and gives the error "Application not installed". It was working fine before other than nagging me to upgrade but I had to reset my phone and now I can't get it installed on my Incredible S again. Not everyone needs a new smartphone every year and I'm just happy with mine. Perhaps I need an older version of Airdroid? 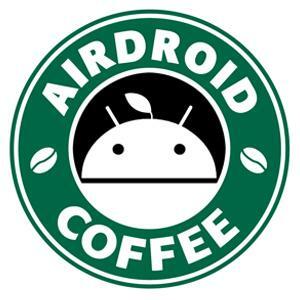 Someone reported Airdroid 2.1.0 works on Android 2.3.3 but I can't find the APK on this website. I guess I'll have to try downloading this elsewhere. Can you fully uninstall AirDroid and install this one to see if it helps?